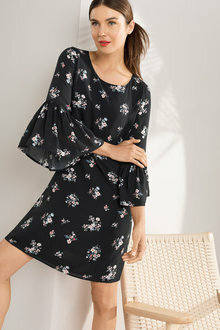 Looking for an elegant and feminine outfit that requires little effort. 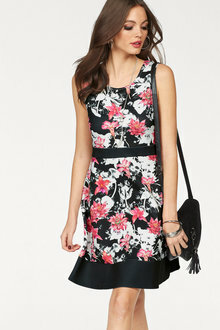 You can't go past a gorgeous, flowing floral dress. Choose from a range of styles, colours, and fabrics today at EziBuy. 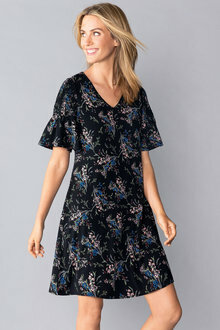 A floral dress is the perfect feminine outfit, whether you're dressing for a summer brunch with friends or looking for a new work ensemble. At EziBuy, we have a range of styles to suit your tastes and body shape. Browse flowing swing dresses, structured shift dresses, off-the-shoulder dresses, and more. 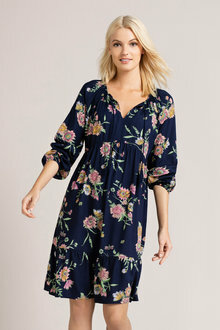 We even have a range of plus size floral dresses for women up to size 26. 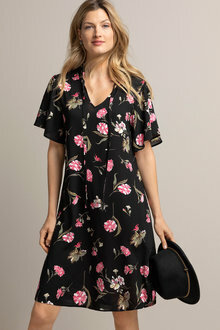 Darker floral dresses or even monotone styles work wonderfully in the office, but if you're looking for a casual dress for summer days, you can't go past our bright and colourful floral options. Browse our full range of sophisticated, feminine dresses in floral styles online at EziBuy today and enjoy fast delivery to your home.